Next week, starting Monday 15 October, Artspace will be presenting Rosanna Raymond’s new work for 52 ARTISTS 52 ACTIONS, commissioned by Dominik Mersch. The project is entering its 40th week and we are very excited to see it take new shape with Rosanna’s action. This work, commissioned by Dominik for Artspace’s ambitious, year-long experimental arts program, will contribute to the continuously unfolding archive of creative responses to political and social issues across Asia and the Pacific. Each week, a different artist will drive the project, representing a wide spectrum of ethnicities and cultural backgrounds; from Bangladesh to Korea, Cambodia to Turkey and the breadth of Australian communities. Over the past 20 years, Rosanna Raymond’s activities have made her a notable producer of and commentator on contemporary Pacific Island culture, in Aotearoa New Zealand, the UK, and the USA. 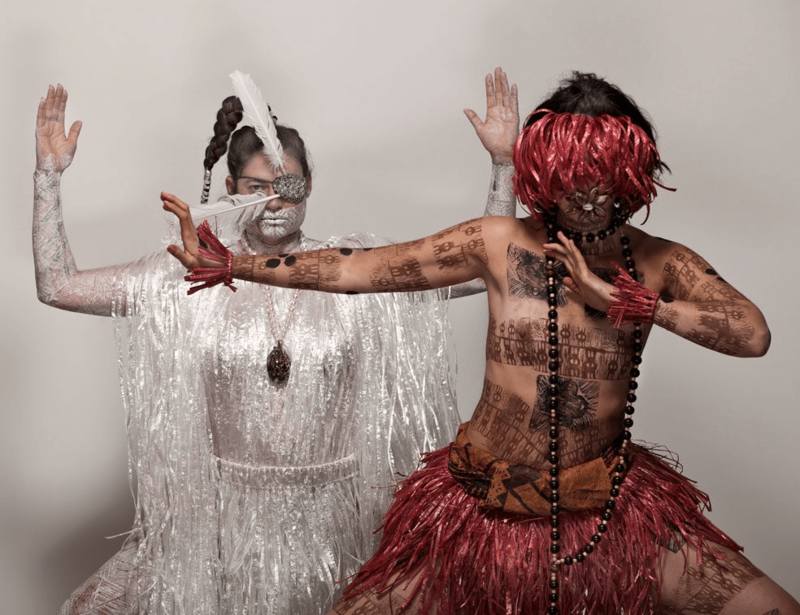 She specialises in working within museums and higher education institutions and has achieved international renown for her performances, installations, body adornment, and spoken word.